Picasa just got updated. The Google powered tool which acts as an image organizer and image viewer for organizing and editing digital photos, while providing one gigabyte of free storage space to deliver the features of a photo-sharing website. Picasa’s update has changed the way storage works which helps you continue to share and store images even after you have filled up the free storage space. Earlier, each image and video uploaded counted toward your free 1GB. Now, users can benefit from additional storage with content such as images having 800 pixels or smaller and videos 15 minutes or less in length will no longer count against your free storage limit. You can upload and store more, adding photos and videos at the detailed sizes, for free. Images with 800-pixels size is obviously a nice size to share picture on the web, but for those looking at a larger size or better quality should keep in mind of the 1GB limit. Users also have the access to add additional storage for as little as $5 per year. 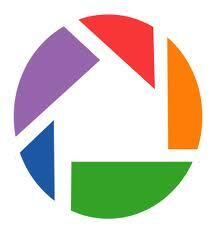 With Picasa Web Albums, you automatically get one gigabyte of free storage. As some of you may have noticed, we recently changed the way storage works so you can continue to share and store images even after you fill up that free gig.In the past, each image and video you uploaded counted toward your free 1GB. Now, uploaded images that are 800 pixels or smaller and videos that are 15 minutes or less in length no longer count against your free storage limit. This means you can upload and store unlimited photos and videos at the above sizes — for free!. Increasing the storage of Picasa by paying $5 per year is also not a bad option. You get 20GB of space that you can use with Picasa and Gmail.